The U.S. debt is now 18 trillion dollars with student loan debt reaching one point two trillion dollars. According to a report issued in November by the Project on Student Loan Debt, a non-profit independent research arm of the Institute for College Access & Success, seven in 10 graduating seniors had student loans. Their average debt is $28,400, two percent higher than in 2012. Controlling the rising costs of college and the subsequent debt students and graduates face has been the focus of numerous pieces of Congressional legislation. Among the latest proposals are the College Affordability and Innovation Act of 2014, the higher education reform bill and the Protecting Students from Worthless Degrees Act. There’s also the successfully passed Student Loan Certainty Act of 2013 which, established interest rates for loans made after July 1, 2013. Among the most familiar proposals comes from Massachusetts U.S. Senator Elizabeth Warren. The Democrat has repeatedly tried to move the Bank on Students Emergency Loan Refinancing Act. It would allow students to refinance their loans. Republicans have repeatedly blocked the bill. Vermont Congressman Peter Welch is cosponsoring the House version. He calls student loan debt bad for the economy and a huge burden for young people starting careers. "This is a big challenge and in fact I think the federal government has really done a disservice to middle class and striving families who want opportunity for their kids by not giving them the benefit of lower interest rates that prevail these days." Welch’s House and Warren’s Senate legislation would allow refinancing of student and parent loans. The challenge, he explains, is that the government makes a profit from student loans and Congress perceives the repayments as a way to lower the deficit. "We’ve got a very significant faction particularly in the House that have as their sole goal squeezing down the role of government and trying to spend less, rather than spend wisely. That’s a doctrine that when indiscriminately applied means that we don’t build for the future. We have to have access to education be affordable. We have to maintain federal support. We have to encourage our college administrators to find a business model that’s affordable. And then we’ve got to refinance these loans so that these students and parents can get the benefit of lower rates. If we converge on the problem with all three efforts then I believe we can make a difference." Congressman Welch successfully passed legislation that creates a task force on higher education regulations. He began his work to reduce student debt after hearing from students at the University of Vermont, a state college, graduating with debt loads of 30 to 50 thousand dollars. He heard the students talk about working part-time jobs to try to pay college costs and carry their full course load. "I talked to a family in Vermont where they had three kids and after they did all of the math and they re-mortgaged their home and the kids got summer jobs, they thought the only thing they could do was send two, but not three, kids to college. That’s not a decision that parents should have to make." Jovell says legislators must simplify the entire financial aid process. "The politicians are talking about the burdensome process of financial aid. I haven’t seen any meaningful reform yet. But I hope that it’s coming. The whole process, in my opinion, has gotten too complicated. The financial aid application is too long and there are too many financial aid programs for students where they have to understand the terms and conditions of each award." "The process of paying for and applying to colleges and universities has gotten more complicated over the course of the last decade." Scott Giles is President and CEO of the Vermont Student Assistance Corporation. It was created in 1965 as a public nonprofit agency to provide grants, loans, scholarships, career and education planning. Giles says often the biggest challenge is bringing families to grips with the cost of higher education. "Families are not really being provided all of the information and counseling that they could use and this is true across all income levels. So where 10 or 15 years ago we might have been focused on low-income students and first generation students, we’re finding now that middle income families are confused both about the financial aid that is available to them, the types of educational opportunities that are available to them and then the long-term costs of the student loans that they are looking at taking out in order to be able to acquire that education." The U.S. Student Association reports student loan debt now exceeds the national credit card or automobile loan debt levels. Association President Maxwell Love says this is not just a student issue. "Most of the people that this would affect are people who have already taken out the debt and have graduated or have even dropped out of school and so now they have an even larger burden of having to pay back debt without a degree. And that means sometimes they don’t have as well-paying of a job." Love, who graduated in May 2013, says the debt crisis is affecting how students higher education choices. He adds that while there have been a wide range of legislative moves, important proposals remain pending. "I think it’s really changing how people make decisions about where to go to school and I think a lot more people are going somewhere that’s closer to home. One thing to remember is that Elizabeth Warren is pushing, Senator Warren, pushing this effort to refinance and it hits on a lot of different issues. Not just the student debt. Not just on higher education. But on making sure that the economy is vibrant and that people are able to put money into the economy and actually not have to spend so much money every month on their student loan payments." Max Love only half-jokingly calls the situation a full-fledged zombie apocalypse. "The magnitude of the crisis is great. If this crisis continues, and it really starts in the states with state dis-investment. Most states have dis-invested 25, 30, 35 percent in the last 5 years and they’ve jacked tuition up. I think that in the next couple decades college is just gonna be even more than it is now just for the elite." 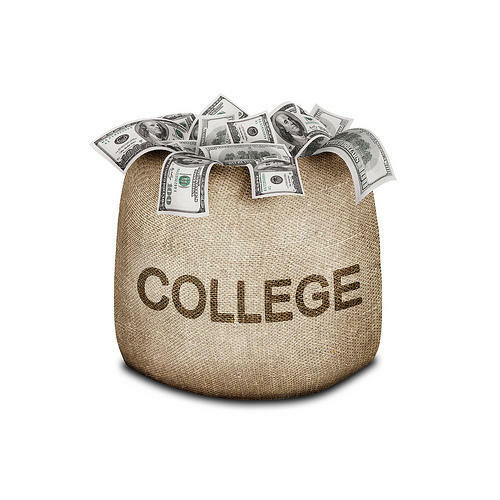 In mid-November, the College Board issued a report finding the cost to attend college rose again this year. The report finds that if you include room and board, the average cost is $18,943 for an undergraduate to attend a public four-year school as an in-state student. An out-of-state student pays on average $32,762. It costs a student at a private, nonprofit college $42,419, on average, if housing is included. For out-of-state students, the most affordable tuition was in South Dakota while the most expensive was in Vermont. A New York congressman from the Hudson Valley recently held a telephone town hall on what he calls the ongoing student debt crisis. With federal student loan debt surpassing more than $1.2 trillion, Democratic Congressman Sean Patrick Maloney held the telephone town hall for constituents of his 18th congressional district.